Shredsec provides Confidential Document Shredding services that satisfy the requirements of current legislation and provides you with complete peace of mind. Who Needs Confidential Document Shredding? However, this list changes according to the sector or industry in which you operate. For example, engineering companies might require confidential document shredding services than those of an accountant or estate agent. Regardless of what type of organisation you are, you need to be certain that your confidential documents are securely shredded. 1. Shredsec delivers sacks or secure bins to your premises in which you place your confidential documents. 2. You fill the sacks or bins for secure shredding. 3. 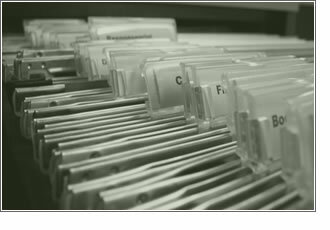 We arrange a convenient time to collect your confidential documents. 5. We provide you with a Certificate of Destruction, if required. We replace the sacks or bins that you’ve used to accommodate future documents for shredding. Your documents are shredded to Level 3 classification which means that the shredded material is produced in strips that are 2mm or less in width, or in Cross-Cut Particles 4mm x 30mm. Find out more about the six different types of shredding defined by DIN 32757. Or see this page on Wikipedia to find out more information on security levels of shredding. We offer a variety of different service options according to your requirements. Your confidential documents are collected on a regular pre-arranged basis: daily; weekly; bi-weekly or monthly.